In 1990, there were less than 110,000 Latinos living in the state of Georgia. 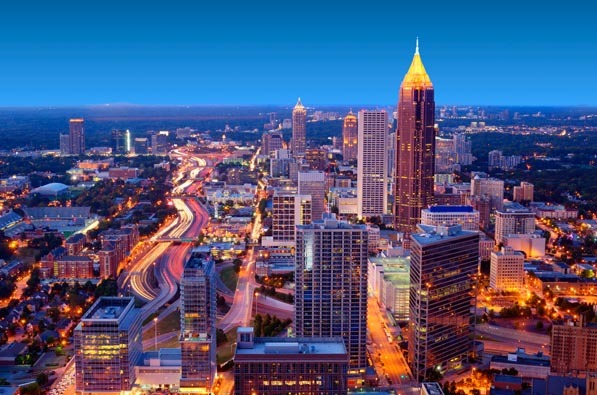 That started to change in the years leading up to 1996, when the Summer Olympics in Atlanta ushered in an employment boom. By 2000, 435,000 Latinos called the Peach State home. Today, that number sits just south of one million—almost 10 percent of the state’s population. In the middle of the economic growth, Hispanic leaders in the area recognized the opportunities for minority-owned businesses as well as the difficulties associated with entering a new marketplace. Several of those leaders came together in 1998 for the Latin American Chamber of Commerce of Georgia (LACC). “Latinos were basically new to the Southeast, so we wanted to help them get started here,” says current chamber president Alejandro Coss, who has led the group for the past four years. He came to the area from Mexico 14 years ago while working with his native government in a trade position. “I saw that Atlanta was a city that was going to continue its growth. I knew it was a city and region that would offer a lot to Hispanic businesses,” he recalls. Other Latinos agreed. While many were lured to Georgia and the surrounding areas by construction jobs associated with the Olympics, others followed the growing residential housing market. Many Hispanics started their own companies as vendors or subcontractors, but faced severe difficultly when Atlanta’s housing market dried up overnight. The housing crisis created a “double-effect,” from which many Hispanic businesses are still recovering. “Latinos who worked in construction had to find jobs in other industries, but were making less money. Businesses who served those Latinos as consumers were hurting since discretionary income was lower,” Coss explains. That’s where the Chamber—also known as La Cámara—stepped in. Coss and his colleagues focused their resources on development and education, providing classes, workshops, and seminars to help with business skills and operations. “We noticed that many Latino businesses didn’t survive while others knew how to consolidate and even buy competitors,” he says. “We knew we could provide resources and information designed to help those who were hurting figure out how to compete.” The Chamber also teaches its members how to stay compliant with regulations to minimize the risk of fines and closures. Although they make up the smallest group of minority owners, the entrepreneurial spirit of Latinos is strong in Georgia. “We’re here to help them prepare, help them start businesses, and help them take advantage of all the great opportunities in Atlanta and the Southeast,” Coss says. In 2012, his organization hosted four classes designed to improve members’ business skills in areas like marketing and budgeting. One program walks prospective business owners through a process to determine the economic feasibility of an idea. Then, Coss and peers work with the entrepreneurs to clarify their vision, identify networks of support, and draft a proper business plan. La Cámara has members in many industries, and Coss has seen strong numbers in food-service outlets like restaurants and supermarkets. “We’re in an exciting time because we’re seeing many members grow and open new locations,” he says. Existing companies represent another exciting opportunity for Southeastern Hispanics. Georgia is home to several Fortune 500 companies, that Coss says are looking to diversify their supplier base. In fact, 16 Georgia companies are on the 2013 Fortune 500 list. It’s perhaps the biggest upcoming and underleveraged trend—representing a tsunami of revenue that Coss urges Hispanics to harness. Coss sees his role as that of an advisor. “I like to encourage people to take advantage of what they already know and help them find their specific expertise,” he says. All entrepreneurs—Latino or not—must bring knowledge and ideas to have a competitive advantage in the marketplace. Those who understand the region will flourish most quickly. For example, knowing that most Latinos in Georgia are Mexican should alert a vendor in the food-service industry to the desire for authentic Mexican products. The Chamber helps its members study the marketplace, discover if a product exists, and determine how to offer something new, different, or better. 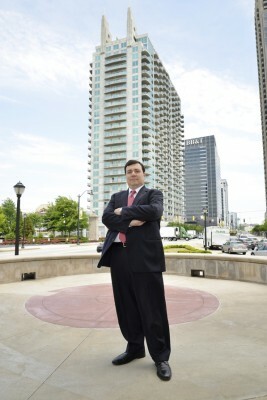 Despite its challenges, Coss believes the Latino community is in Georgia to stay. According to the US Census 2007 Survey of Business Owners, there were 32,000 Latino-owned businesses in Georgia, an increase of 78 percent from 2002. Those businesses generated $6 billion in revenue.